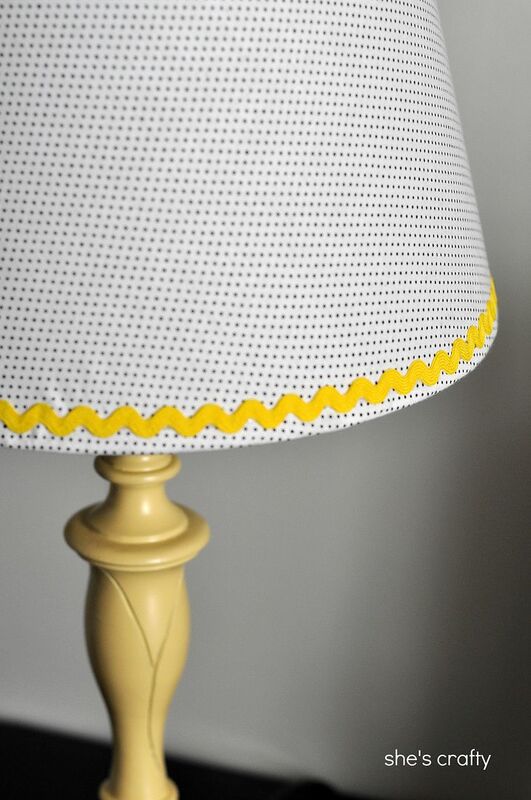 I love a good lamp redo, don't you? 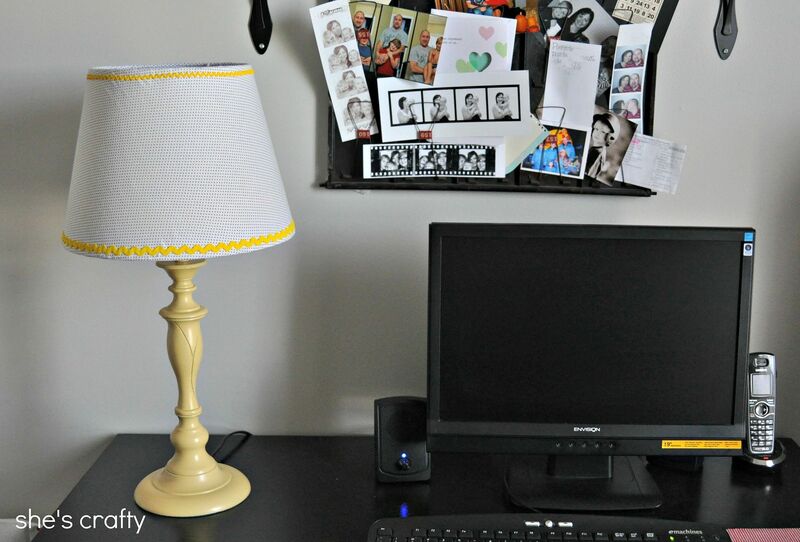 In my quest to continue to lighten and brighten in my craft room, I decided to tackle the lamp on my desk. 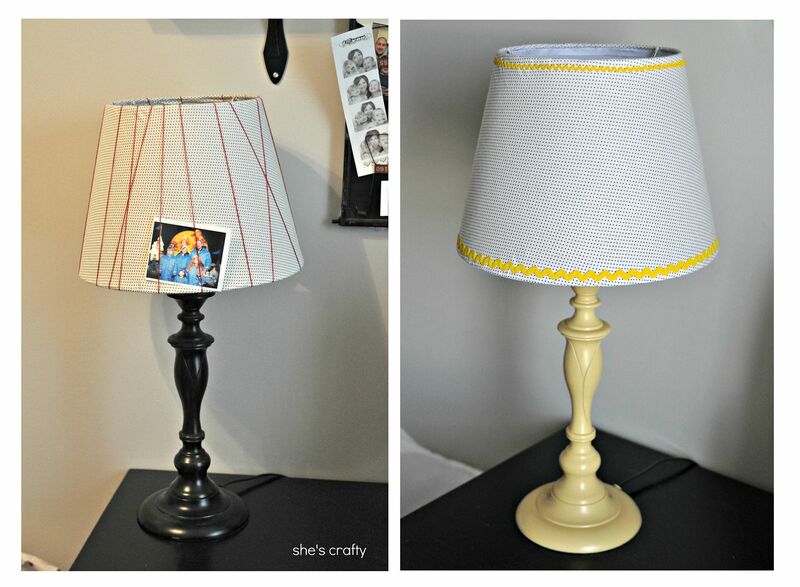 I previously added floss to the lampshade to stick photos in. 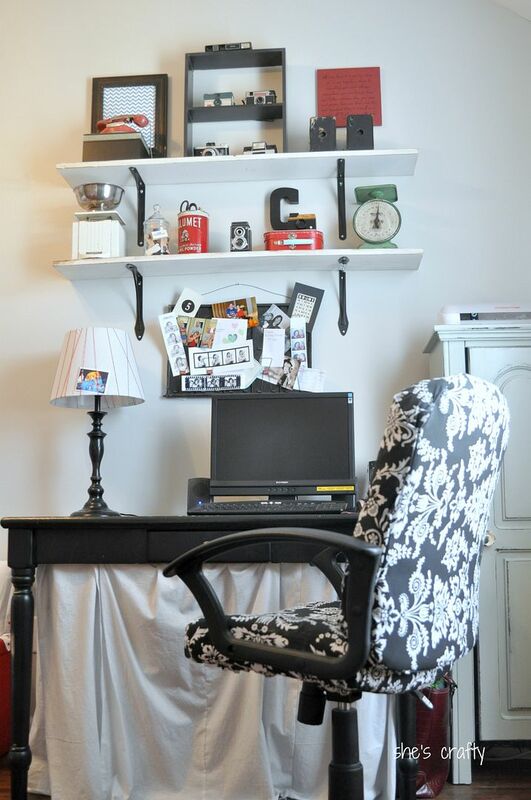 I still like that look, but with the board above my desk holding photos as well, it was too much. 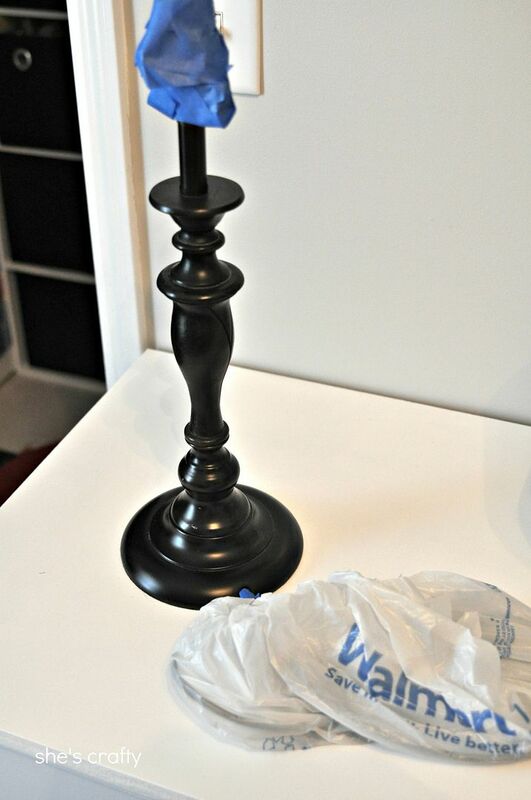 The base was purchased at Goodwill. 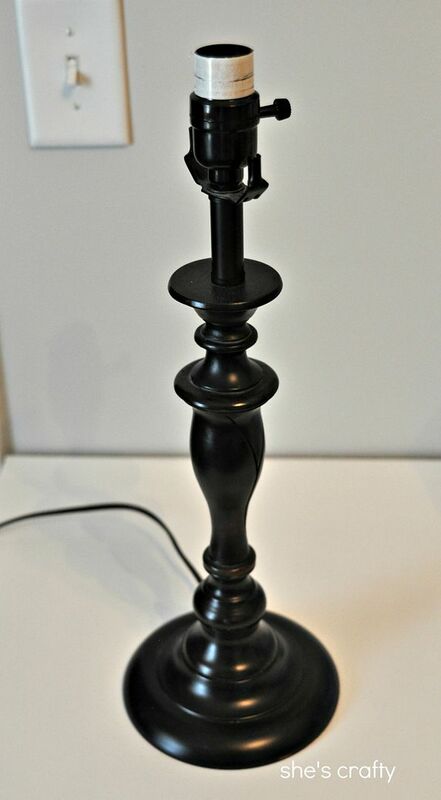 Ya just can't beat $6 for a lamp base! 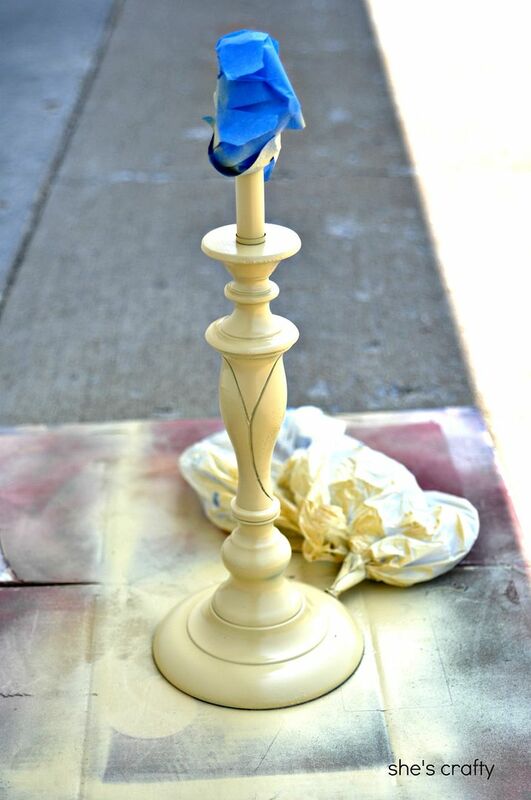 and gave it a few coats of Strawflower spraypaint by Rustoleum. 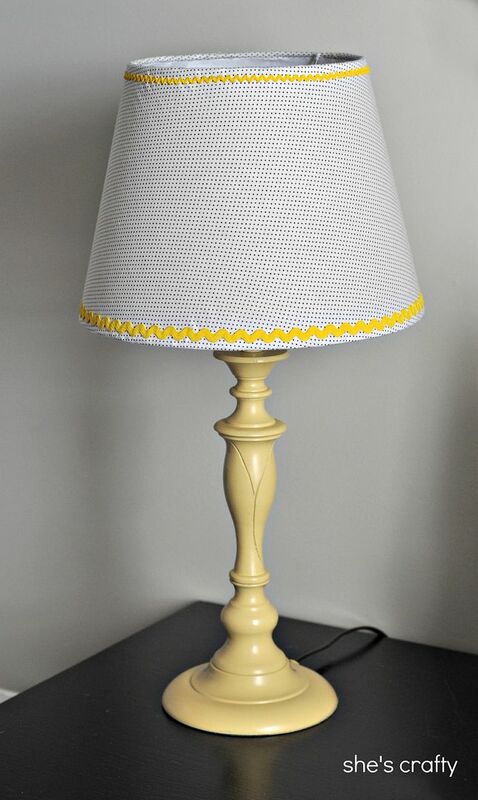 The lampshade was already covered in white and black polkadot fabric. I just added the yellow ric rac around the top and bottom with a hot glue gun. Here it is on my desk. I love the pop of color it adds!